Tracking trailers has never been so easy. Unfortunately the overall situation cannot always be kept under control, and findingthe location also often costs a lot of time and trouble. With the Mi13 you can immediately see the location of your trailer with one press of the button. 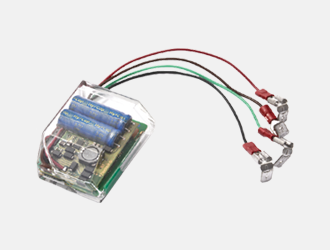 The Mi13 is a unique and patented GPS tracker that can be fittedin or behind the rear light. The built-in‘supercaps’directly save the power released by the brake, signal and running lights as soon as these are activated. With the Mi13 it is possible to track and trace trailer in all conditions, even if not connected to a permanent power source. As soon as the Mi13 is powered from the activated lighting, it can send a live position every 5 minutes to the Moving Intelligence platform and app. With non-activated running lights the Mi13 uses the power released by the brake and signal lights. This released power is stored in the internal‘supercaps’and used later to send GPS positions. The Mi13 is very small and simple to fit in the rear light at your own workplace or by a specialist fitter. After installation andactivation the system is immediately visible on the online Moving Intelligence platform (MiPlatform) and in the MiApp. With the use of GPS the system can accurately be found within just a few metres across the whole of Europe. Please let us know if you are interested in selling and/or distributing our products in your country. Placement of an electronic fence enables you to see when someone enters or leaves a zone. These zones can be de ned and set up online. All daily sent live positions can be seen on a map via our platform and app. This allows you to receive a notification by e-mail or push notification in the MiApp as soon as the selected object starts moving.